The decision by the ruling party’s national executive came in the early hours of the morning, after 13 hours of tense deliberations and one face-to-face meeting between Zuma and his presumed successor, deputy president Cyril Ramaphosa. 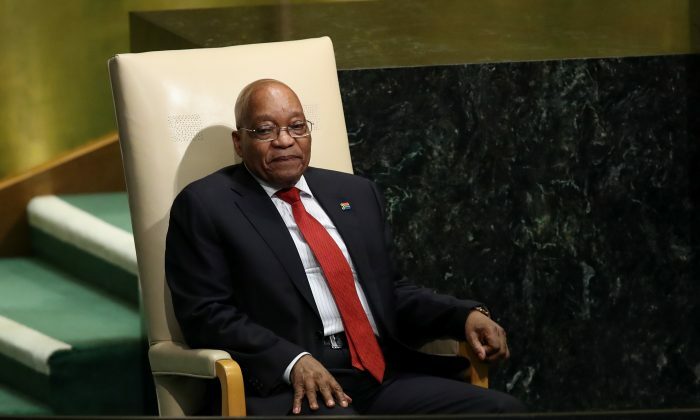 Despite the damning decision to order Zuma’s “recall” — ANC-speak for ‘remove from office’ — domestic media have speculated that the 75-year-old might yet defy the party’s wishes, forcing it into the indignity of having to unseat him in parliament. “Cyril went to speak with him,” the source said, adding that when Ramaphosa returned to the ANC meeting in a Pretoria hotel, the discussions were “tense and difficult”. “We decided to recall Zuma. He hasn’t been told yet,” the source said. The ANC said it would hold a media briefing at 12:00 p.m. local time to reveal the results of the meeting. Zuma’s spokesman did not answer his mobile phone. South Africa’s economy, the most sophisticated on the continent, has stagnated under Zuma’s nine-year tenure, with banks and mining firms reluctant to invest because of policy uncertainty and rampant corruption.